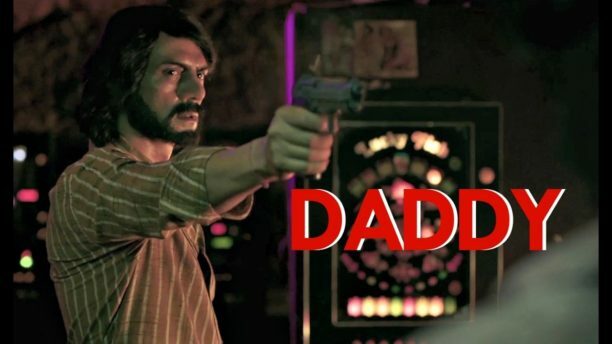 In less than four weeks from now Arjun Rampal’s dream project Daddy would be hitting the screens. The film is a biopic which details the journey of Mumbai based gangster turned politician Arun Gawli, with Arjun playing the central protagonist. Now the film is gearing up for release, Arjun remembers an incident that is etched in his memory for quite some time. “On the last day of the shooting I got a call that ‘Daddy’ was out and he wanted to meet me. I was like ‘Oh damn, now what’. He asked me point blank whether I was making a film. When I said ‘yes’, he asked me to talk to his lawyers and get the necessary paperwork done. I told him that I was running behind his lawyers for last three years and since I was just about to leave for Kolkata for shooting of another film, it would be good if we could meet there and then and close all formalities,” recollects Arjun. To his amazement, Arun Gawli organized a meeting pronto and soon enough the two of them were sitting face to face opposite each other. “The moment I shared the contract with him, he wondered what to do with it since it was in English and he didn’t know the language. He gave me a long look which I can never forget. While that was a nervous pause for me, he broke the tension in the air by saying – ‘Tere par bharosa karta hai’ (I trust you). These were indeed golden words that are etched in my heart,” Arjun adds on. We look forward to how it all plays on screen once the film releases all over on 8th September.